Few things symbolize Paris and France like this monument. 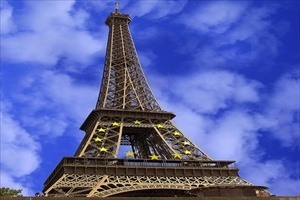 It’s therefore used as a symbol of France. 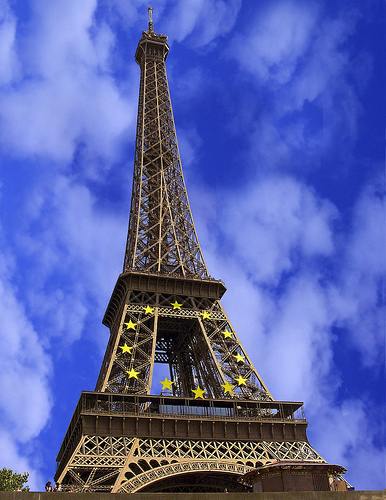 In fact, the Eiffel Tower is the best-known monument in all Europe. The Tower is 324 meters high and has 1665 stairs. The Elevator is normally open all day from 9:30 AM to 23:45 PM. The stairs are open between 9:30 AM to 18:30 PM, even if the opening hour is earlier in the summer. To get to the top costs about €11 as adult and half the price as children. The stairs will bring you half-way for about €4. You will have to be prepared to stand in queue, especially in the summer months or at the bigger weekends. 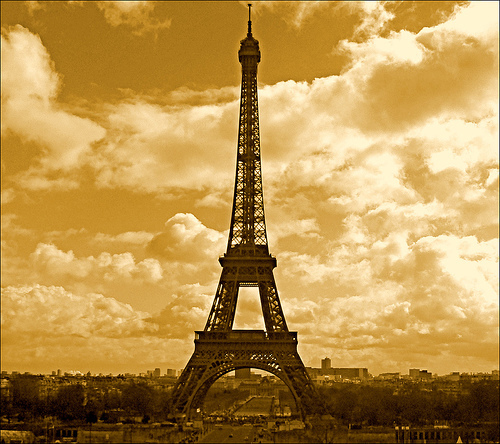 If you want to visit the Eiffel Tower, be sure you take the lift to the top for a spectacular view of the city. A good advice to avoid the crowd is by going in the mornings, especially on the weekends. Commissioned in 1806 by Napoleon, shortly after his victory at Austerlitz, it was not finished until 1836. There are four huge relief sculptures at the bases of the four pillars. These commemorate The Triumph of 1810 (Cortot); Resistance, and Peace (both by Etex); and The Departure of the Volunteers, more commonly known by the name La Marseillaise (Rude). Beneath the Arch is the Tomb of the Unknown Soldier, and eternal flame commemorating the dead of the two world wars. 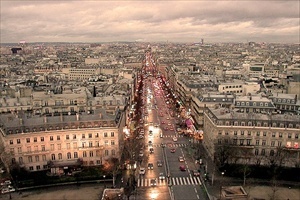 The Champs-Elysées in city is known as the world’s most beautiful avenue. The Champs-Elysées stretches from Concorde square to Arc de Triomphe. It is 1910m long and 70m wide. It has been nicely renovated with large granite sidewalks and plane trees. La Conciergerie and Sainte-Chapelle include the remains of the oldest Parisian royal palace the Palais de la Cité, which was converted into a prison in the 15th Century.This site, which was the residence of the Roman governors and later of the first Capetians, was chosen by Philippe le Bel in the early 14th Century as the place where he would build a palace to symbolize his power, described at the time as one of the most impressive palaces of the Middle Ages. The Palais Royal began as a small and private theatre in the residence of Cardinal Richelieu. Following Richelieu's death, the palace became royal property. It was then used for courtly entertainment. In 1660, Moliere and his troupe used the theater for their productions until the death of Moliere in 1673. After Moliere's death, Jean-Baptiste Lully used the Palais Royal for his Academy of Music and their opera productions. Louis XV started work on this building, originally intended to be a church dedicated to Saint Geneviève, to fulfill a vow he made while fallen ill. In charge of the project was Soufflot. Work began in 1757, but Soufflot died before the building's completion in 1789. In the form of a Greek Cross and crowned by a grand dome, the building measures 130 meters long, 82 meters wide, and 83 meters tall. The Pantheon's neoclassic styling, evidenced by the peristyle Corinthian columns evoking the Pantheon in Rome, show the grandeur of that era's architecture. In the past, it was here that the French kings liked to organize sumptuous parties. Since the fire which gutted the Tuileries Palace, this place has lost its charm but don't hesitate to cross this historic garden, walking to the Louvre Museum and Place de la Concorde. Special classes are held on Wednesdays and during school holidays, 9:30AM-5:30PM. Schools and groups from Monday to Friday on appointment. Versailles is a tourist hot spot so be careful to get there early in the morning if you actually want to see the palace. The 70m long Hall of Mirrors is where the 1919 Treaty of Versailles was signed, ending World War I. After the palace tour, head for the gardens complete with marble fountains, formal gardens and the Grand Canal which was built for Louis XIV's boating parties. The Place de la Bastille (Bastille Square) was the location of the notorious Bastille stronghold, which was stormed on July 14, 1789, triggering the start of the French Revolution and the overthrow of Queen Marie Antoinette. . The Basilique Sacré-Coeur was designed by the architect Paul Abadie in a Romanesque-Byzantine architectural style. Its foundation stone was laid in 1875. The basilica was not completed until 1914 and not officially opened for worship until 1919, after the end of the First World War. The large building is actually a church, dedicated to St. Mary Magdalene. In French, Magdalene is known as Madeleine, hence the name of the building. Construction halted during the French Revolution until 1806 when Napoleon decided to build a temple in honor of his army. He appointed Pierre-Alexandre Vignon who razed the structure yet again and started with the construction of a temple based on the 'Maison Carrée', an ancient Roman temple in Nîmes. Set on a hill 130 meters high, the area of Montmartre looks grandly out over all of city. The name "Montmartre" comes from "Mont des Martyrs" (the bishop St. Denis, the priest Rustique, and the archdeacon Eleuthère were all decapitated there around the year 250). In the 12th century, Benedictine monks built a monastery near Rue des Abesses. It later became the seat of a powerful abbey. Probably one of the most famous cemeteries in the world, Cimetière du Père-Lachaise is one of city’ most popular tourist attractions and reputed to be the most visited cemetery anywhere. Situated in the center of city, close to the Champs-Elysées, the Palais de la Découverte is city' original science museum, housing works and designs from Leonardo da Vinci's extraordinary inventions onwards. Replicas, models, audio-visual material and real apparatus are used to bring the displays to life. A permanent display covers man and his biology, light, and the principles of thermo-dynamism. Also offered are scientific experiments for budding genetic engineers, lectures, planetarium shows, scientific films, as well as a number of temporary exhibitions and children's activities. This museum covers the history of city from the pre-Roman era up to the modern times. The museum is often overlooked but definitely worth a visit. The Musée d'Orsay is a museum housed in a grand railway station built in 1900. Home to many sculptures and impressionist paintings, it has become one of city's most popular museums. The Centre Pompidou is home to one of the world's most important museums of modern art, the MNAM, but it also contains a very popular library, a bookshop, a movie theater and a panoramic terrace. The Public Information Library or BPI boasts a collection of 450,000 books, 2,600 magazines and a large number of new media items. Musée Rodin (The Rodin Museum) is located in an 18th century mansion where the artist once lived and worked, tucked behind a walled garden away from the hubbub of the city. The building is located next to the Invalides, the location of the tomb of Napoleon Bonaparte. The mansion was originally built for a city wigmaker but also belonged to the Catholic Church and eventually, to this city. Army Museum (Musée de l’Armée) is considered one of the finest military museums in the World. The Place de l'Étoile is a large Place in city, France, the meeting point of twelve straight avenues (hence the name "Star Square") including the Champs-Élysées which continues to the east. It was renamed Place Charles de Gaulle in 1970 in honor of President de Gaulle, but is still largely referred to by its original name. 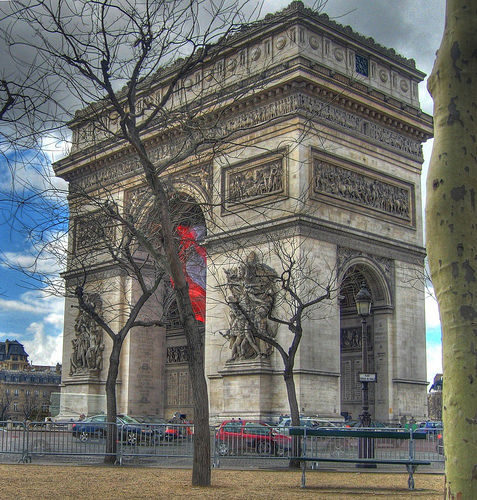 The square lies in the middle of the Axe historique and at its centre stands the Arc de Triomphe. The Place and the avenues leading to it were extensively redesigned as part of Baron Haussmann's urban planning projects. The Catacombs (the “municipal Ossuary”) were created at the end of the 18th century. The cemetery of Innocent (close to Saint-Eustace, in the district of the "Halles") had been used during nearly ten centuries and had become the origin of infection for all the inhabitants of the district. After multiple complaints, the Council of State, by decision of November 9, 1785, pronounced the removal and the evacuation of the cemetery of the Innocent ones. From the first day of their creation, the Catacombs caused curiosity. In 1787, Lord of d' Artois, who would become Charles X, went down there, in company of ladies from the Court. In 1814, François 1st, emperor of Austria, residing as a winner in city visited them. In 1860, Napoleon III went down there with his son. The Catacombs reopened on June 14, 2005 after several months of closing for work. Lighting was revised, the arches were consolidated and the walls of re-installed bones. Situated in la Villette park, in the North-East of city, the cité de la musique was one of President Mitterrand’s last great projects. Inaugurated in January 1995, it is a place where music and its many facets can be discovered. A place of teaching (educational activities for adults, children and young people) and practice, of information and heritage, the cité de la musique is open to the public at large: music-lovers, the young, artists present and future. The Jardin du Luxembourg is probably the most popular park in city. It is located in the 6th arrondissement, near the Sorbonne University. The park, 22,45 hectare large (about 55 acres), was designed in 1612 in French style. In the 19th century, the private park was opened to the public. Ile de la cite is usually referred to as the epicenter of city, as well as the original site of the Parisi tribes of the Sequana river, now known as the Seine. This was possibly the earliest settlement in city-a muddy town on the banks of a muddy river that grew to be known as one of the most beautiful places in the world. 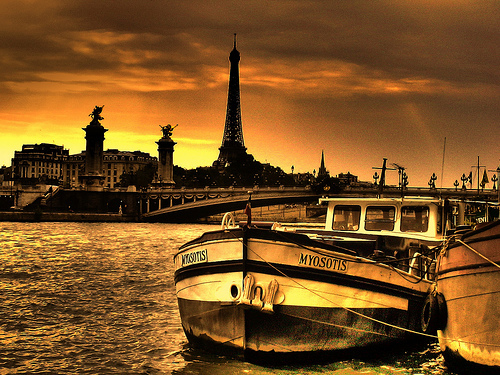 Considered the heart of city, Île de la Cité is one of two natural islands that sits in the middle of the Seine. All distances in city are measured from the center of the island. You enter from the Jardin de Plantes (which is in itself worth a visit: a fine park dating bach to 1626). The most distinctive exhibit is now slightly to your left: it is the so-called Microzoo, where you can study insects and other small animals in a very pedagogical setting. Absolutely worth seeing, especially if you know some French. A lovely place for visitors to stroll on a sunny day, Jardin des Plantes has a long and noble history. The Grand Palais is one of city’ most recognizable landmarks thanks to its magnificent glass-domed roof. It was the work of three different architects but the project was overseen by famed French architect Charles Girault, who was then given carte blanche to design the Petit Palais. The building is a beautiful combination of a classicist stone facade, art-nouveau ironwork and glass.